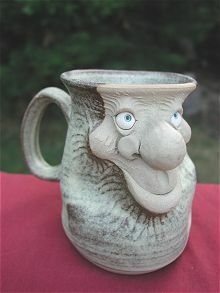 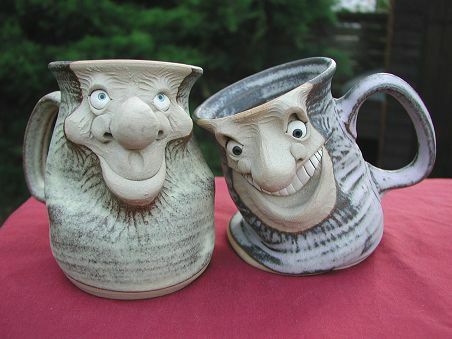 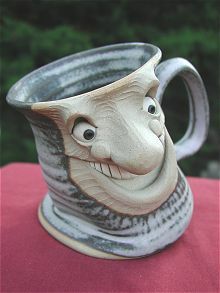 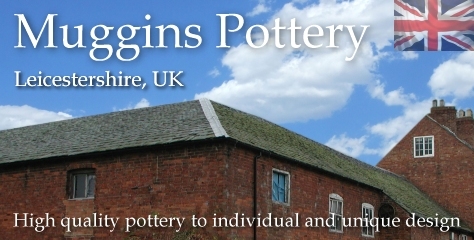 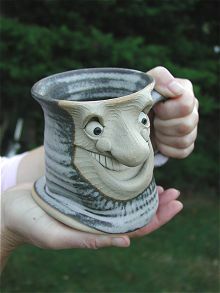 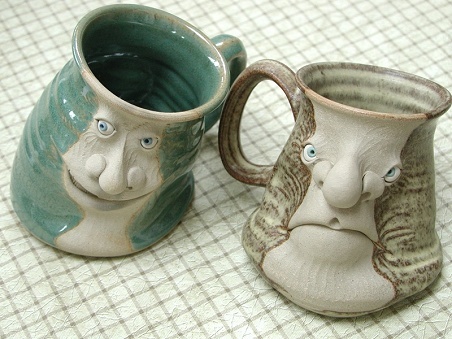 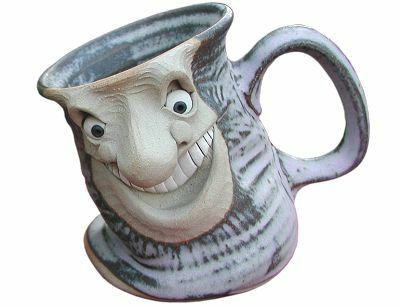 Face Mug - pint drunk | hand-made pottery from Muggins Pottery in Leicestershire - wedding gifts, birthday presents, christening presents and anniversary gifts. 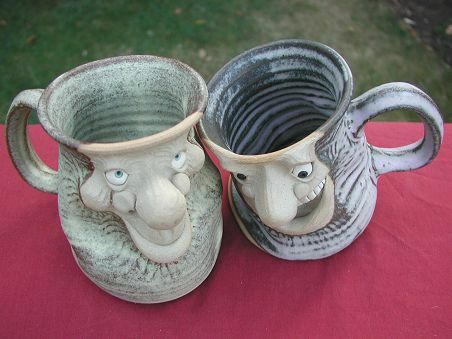 Please remember that all Muggins items are hand-made - the photographs below show a sample of the range available. 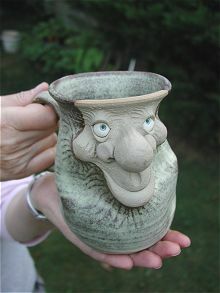 Characteristics and glazes will vary for each individual hand-made item.